January 2017 – What Does The Fox Says? Peranakan cuisine are unique as they are a fusion of mostly Malay and Chinese dishes. Historically, Peranakan are known as Straits Chinese as men from China settle down with the local women in Malacca. The men are known as Baba while the women Nonya. They spoke in Baba Malay (slightly different from proper Malay) and a Chinese dialect, with the addition of English for the English educated. The Peranakan are skilled traders and merchants and have a very distinct separation of gender roles. While men are the sole breadwinner of the family, the kitchen is the domain of the women (so much so that men are not allowed inside!). Although originally a fusion of existing dishes, Peranakan have a unusual taste and style of cooking. They mostly eat home-cooked meals instead of eating out, and as such not many would know of how Perankan dish taste like. But by the time of WWII, social structure got disrupted and it not uncommon to see boys helping to cook in the kitchen or Peranakan dishes being sold on the street. For this post, we will look at Mr Terry Tan’s Stir-Fried but Not Shaken, Jean Duruz and Gaik Cheng Khoo’s Eating Together, Channel NewsAsia article, The slow death of Peranakan cuisine?, as well as site visit to the Peranakan Museum for contextual information and as a basis of Peranakan’s culture and heritage knowledge. “One World” is a television series produced and hosted by Yue-Sai Kan and aired on China’s national television network CCTV in 1986. The twice-per-week program, which exposed Chinese viewers to cultures around the world, was the first-ever television series hosted by a Chinese American on national Chinese TV. With a weekly viewership of 300 million, “One World” gave many Chinese their first glimpse of the outside world. Yue-Sai’s broadcast captivated the entire nation and made her a household name. With broadcasts in both China and the United States, she was the most watched woman in the world at the time. The bilingual scripts and videos were used as teaching materials in schools across China and her easy television style influenced a generation of TV journalists in China. 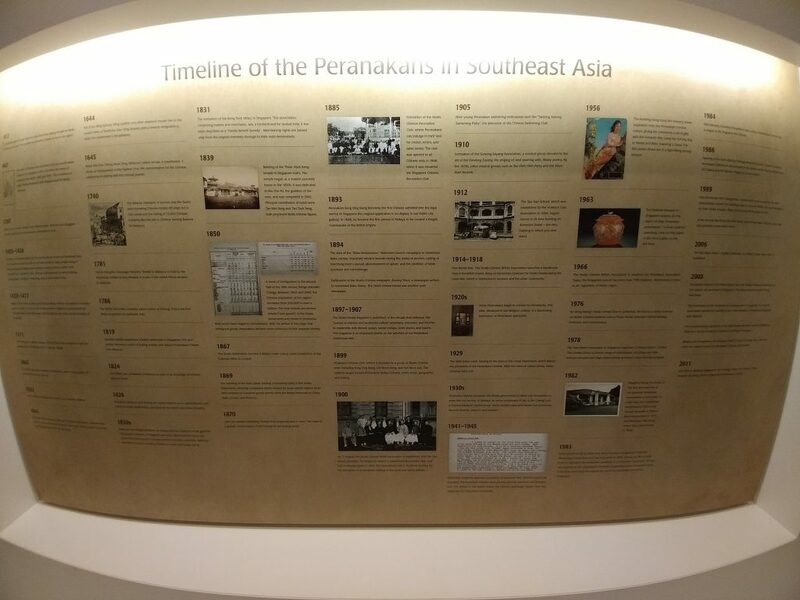 Through my trip to the Peranakan Museum, I learned about their distinct heritage such as where they come from, their housing, clothing, religions, wedding, funeral and their cuisine. While the cuisine wasn’t that in-depth (most of the information I gathered are from a single video in the food section), they do include how the kitchen would look like, as well as dinning area and the type of vase and ceramic wares used by the Peranakans. 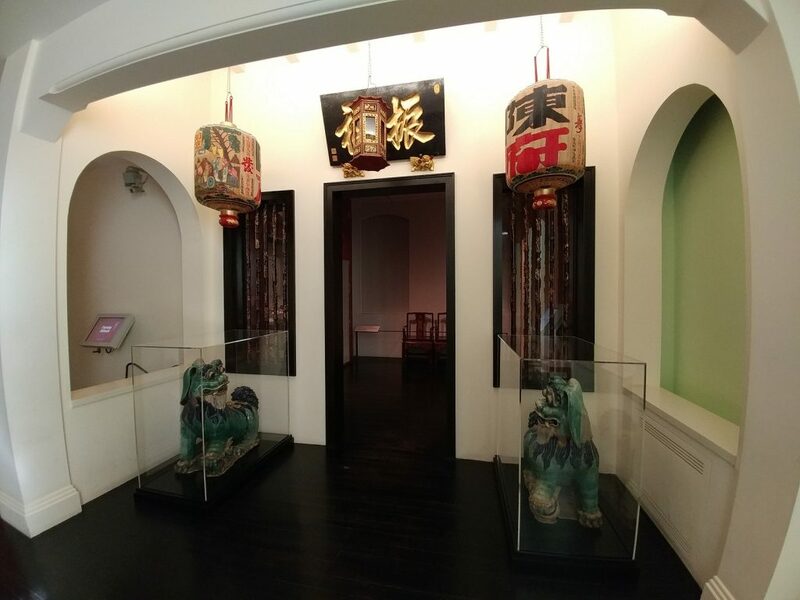 The Straits Chinese who came to Singapore lived in Chinese-styled home. They quickly learn that learning British English would secure them better paying jobs and so most Peranakan spoke Baba Malay, English and Chinese Dialects that allows them to converse and do business in the multicultural Singapore trading port. The religions are similar to many mainland Chinese, leaning more towards the Taoist and a mix of Confucianism and a little hint of Buddhism (ie praying to Bodhisattva such as Guanyin) in it. They pray to the same gods as the Chinese while also believing in the superstitions of both Malay and Chinese customs such as ancestor worship, such as leaving offering to ghosts hoping they would not disturb the family and instead bless them, or avoid them outright. Along the way, some Peranakans also converted to Christianity due to exposure to missionary schools set up by the British. The ethnicity and religion mesh-up can also be seen in their aesthetic, having elements of Chinese (ie phoenix, dragon, tiger) art and Malay patterns (ie flora, texture, pattern, materials). 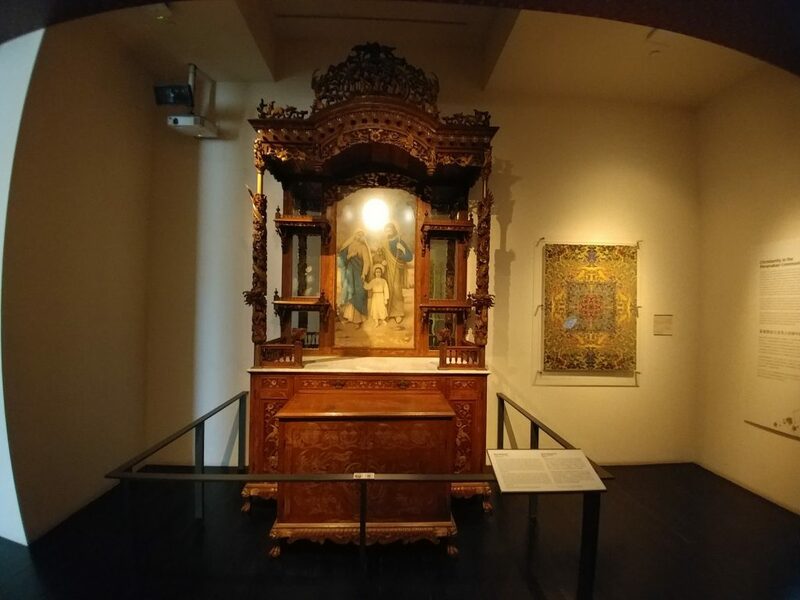 The Christian Peranakan still retains much of the art style from Chinese/Malay art and infuse it with more European elements, like the Altar above, having Chinese dragon swirling around the poles with the image of Jesus, Mary and Joseph in the middle. This Chinese documentary (most likely from Malaysia) talks about what Peranakan living in Malacca, along with interviews with experts on Peranakan culture and along with Peranakans themselves (the film follow them celebrating Chinese New Year). 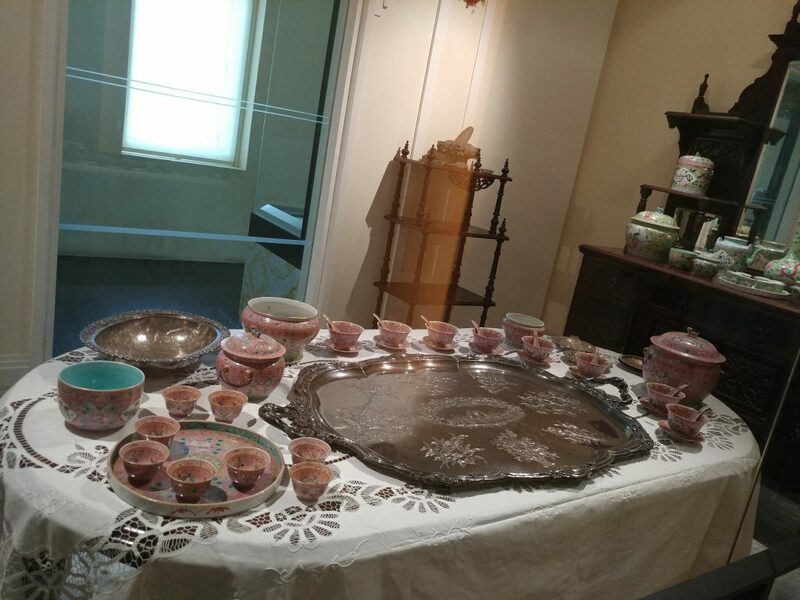 It also discuss about the Peranakan identity – are they Chinese? Are they Muslim? How to go about not being able to speak Chinese but speak Malay instead. Also, Peranakans are also very strict with traditions (at least in the past). Such as elaborate wedding gifts, gold jewelleries, and funeral mourning with strict dress code that last one year. As mentioned before, Peranakan cuisines have elements of both Chinese and Malay. And the chefs are usually the women in the household, adept at cooking up a range of dishes that was pass down orally from mother to daughter. (That kinds reminds me, what if the family does not have a daughter? Is the recipe lost forever then? )Most of their dishes are named in Malay, and they use tools that typical Chinese family would use. For ingredients, it vary family to family, but generally uses things they could buy such as spices and coconut. The dishes they cook are hugely influenced by Malay cuisines, especially the kueh (cake). The dish that most will associate with the Peranakan is the Laska dish, where there are variations of it within and outside of Singapore. According to Peranakan Museum food section video, Katong is a place with a lot of Peranakan food, with the Katong Laksa being one of the most famous (ie 328 Katong Laksa). They also make dishes such as Popiah, Ayam Bakar, Nasi Lamak, Satay Babi (Pork Satay), Zongzi (sticky rice dumpling), durian puff and so on. The video note that Peranakan restaurant is a relatively new concept as Peranakan usually cook their meals at home. 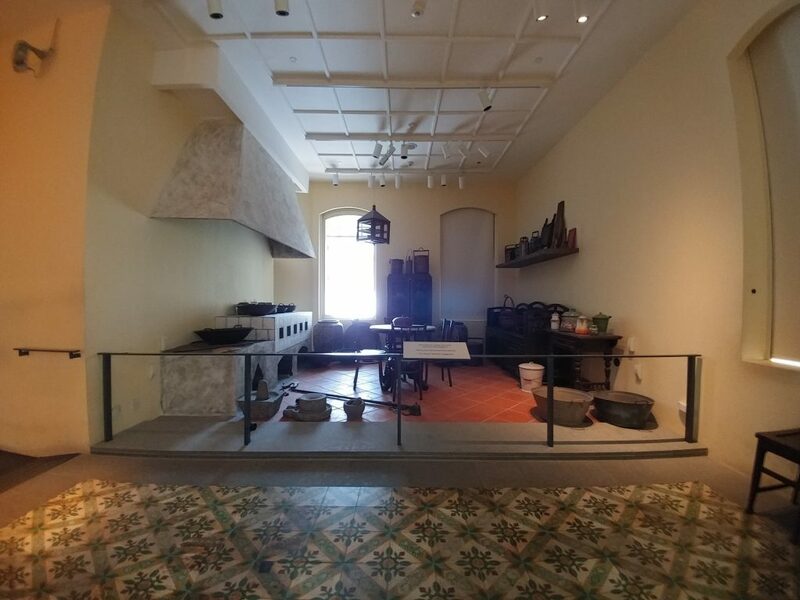 Wartime Kitchen, as noted in my previous post, mentioned that WWII was the first time many people outside of the Peranakan community ate Peranakan dishes. I suppose there is no such thing as a “pure” Peranakan, as the only constant in life is change. Just like other dishes from the other ethic groups that we will discuss in the future. Examples being the Malay Mee Goreng and Mee Rebus using Chinese noodles and Indian spices.